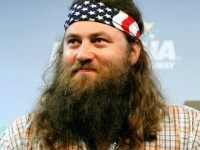 Duck Commander Phil Robertson previewed his new book on Monday’s edition of Breitbart News Daily with host Alex Marlow, along with a message on making America great again. 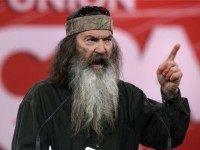 Duck Dynasty “Commander” Phil Robertson rallied for Judge Roy Moore in Alabama Monday night, celebrating Moore’s commitment to faith and the Constitution. 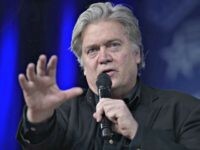 Former White House Chief Strategist Steve Bannon will campaign for grassroots conservative Alabama Senate candidate Judge Roy Moore on Monday evening before Tuesday’s GOP Senate runoff in the Yellowhammer State. 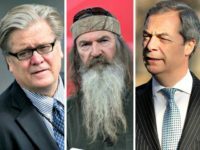 Bannon will campaign for Moore with Duck Dynasty’s Phil Robertson, Brexit leader Nigel Farage, former Alabama Crimson Tide star running back Siran Stacy and other grassroots supporters of Moore. Fox News host Sean Hannity will interview Bannon at the rally. 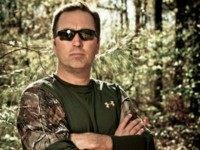 Appearing on SiriusXM’s Breitbart News Daily ahead of his rally for Judge Moore, Bannon said that Tuesday’s runoff is a battle between Strange’s “corporate money” versus Moore’s “grassroots muscle.” Stay tuned to Breitbart News for live updates throughout the evening. 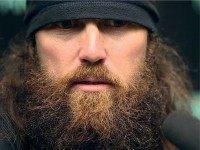 In a groundbreaking new documentary film coming to select theaters on October 7, Duck Dynasty’s Phil Robertson challenges a modern, post-Christian worldview by proposing a walk through history in the light of faith. 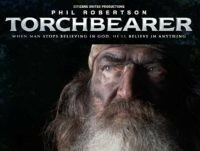 Phil Robertson discussed the cultural issues of the day in a wide-ranging interview from the Cannes Film Festival before his new film Torchbearer’s premiere. 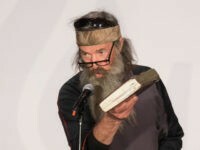 Phil Robertson — entrepeneur and patriarch of the Robinson family featured in the reality TV show Duck Dynasty and now the star of a Citizens United documentary, Torchbearer — discussed the film’s prophetic call for cultural repentance before its premiere at the Cannes Film Festival. 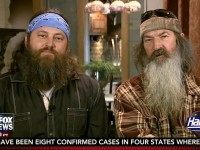 Phil Robertson, star of the upcoming documentary Torchbearer, joined Fox News’s Sean Hannity on Thursday to weigh in on the presidential election and discuss why he will be voting for GOP frontrunner Donald Trump in November. 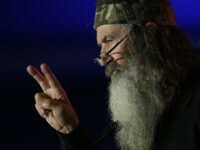 ‘Duck Dynasty’ patriarch Phil Robertson will support Donald Trump in the fall despite endorsing his rival Ted Cruz four months ago, he said Monday. 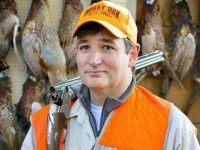 Duck Dynasty’s Phil Robertson endorsed Ted Cruz today for president in a special video highlighting a recent hunting trip with members of the family. 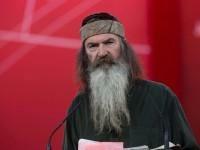 Duck Dynasty’s Phil Robertson has made his choice for president: Ted Cruz. 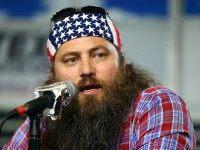 Duck Dynasty’s Alan Robertson said Friday on Breitbart News Daily that America is having a national crisis. 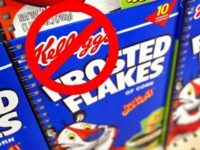 During the October 27 airing of Fox News’ Outnumbered, Duck Dynasty’s Willie Robertson spoke out against gun control by pointing out that guns are already heavily regulated and suggesting that the continuous push for more regulation is a means of blaming something else for failures in other parts of society. 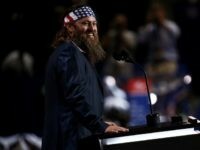 Duck Dynasty star Willie Robertson put to bed rumors that he endorsed Donald Trump for president, saying he is sticking with Louisiana Gov. 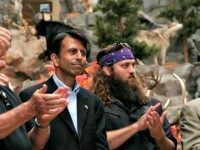 Bobby Jindal. 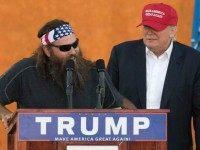 GOP frontrunner Donald Trump addressed a massive crowd at the Oklahoma State Fair Friday evening, during which he received an endorsement by Duck Dynasty’s Willie Robertson. 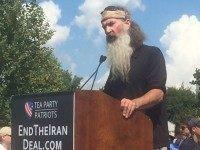 “Duck Dynasty” star Phil Robertson blasted President Obama’s Iran nuclear deal at a star-studded rally outside the U.S. Capitol Wednesday, stating his strong support for Israel and the Jewish people. 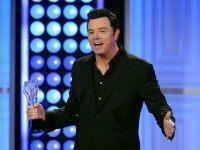 Seth MacFarlane accepted the Louis XIII Genius Award at the Critics’ Choice Television Awards Sunday night and used his acceptance speech to bash Duck Dynasty, himself, and his own hit television show. 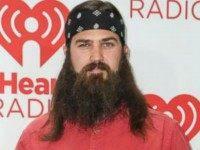 The Duck Commander Musical, a new play based on the lives of Duck Dynasty’s Robertson family, is set to premiere Wednesday night at the Rio Casino Hotel in Las Vegas. 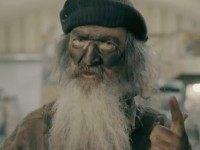 Duck Dynasty’s Sadie Robertson posted a powerful video to YouTube last month, encouraging those with insecurities to be themselves and to walk a life of faith.